The Black Garden… You see it rising as a distant island on the road from Goris, Armenia: enticing, mysterious, proud and defiant. Tucked in the southern corner of the Caucuses, it has been a bloody flashpoint where great powers clashed., and a forgotten backwater of a crumbling empire. The name reflects its complicated history: Nagorno means mountainous in Russian, Kara means black in Turkish and Bagh is garden in Persian. 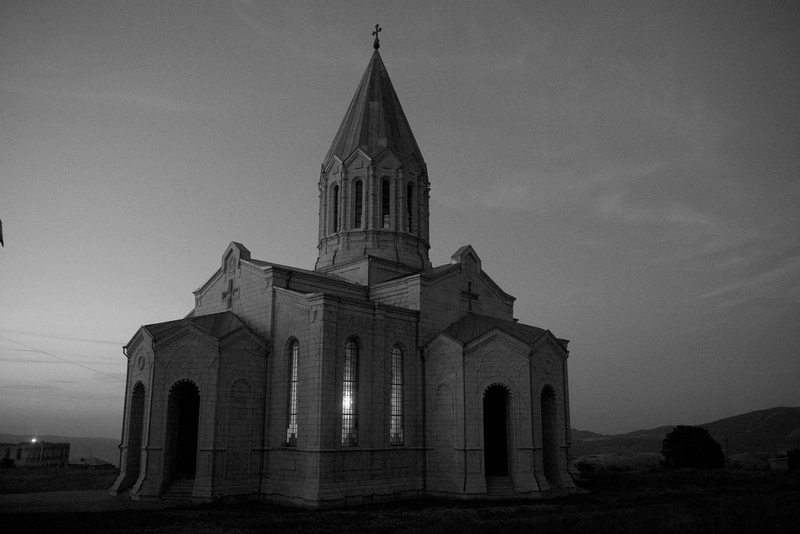 Armenians call it Artsakh. These photos were taken over a short but intense week covering presidential elections in the de facto republic of Nagorno Karabakh, stil unrecognized internationally. 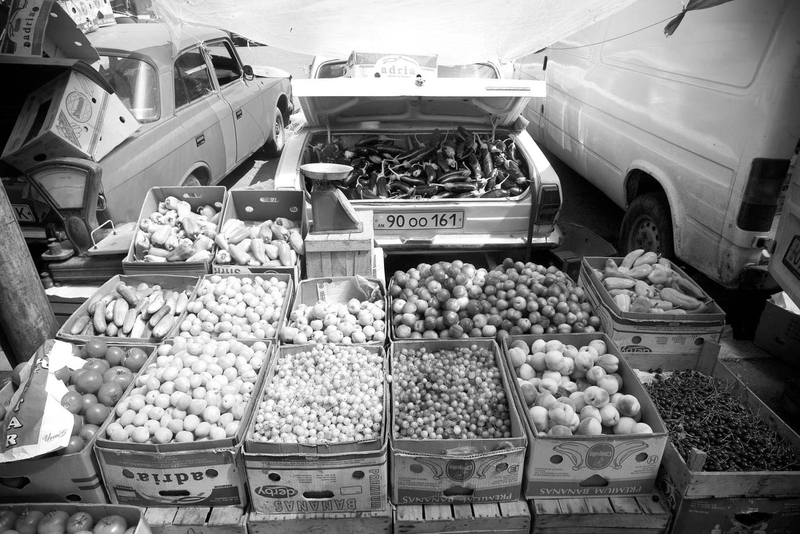 The photographs are a testament to the will of the people of the region, who have lived through events as rugged as the land they inhabit. 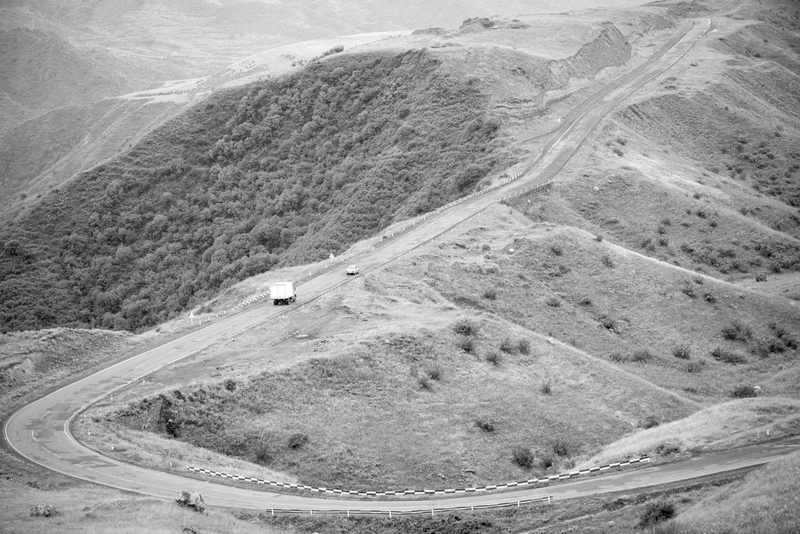 Snippets of time and of lives from a land where one solitary winding road connects Karabakh to the rest of the world. 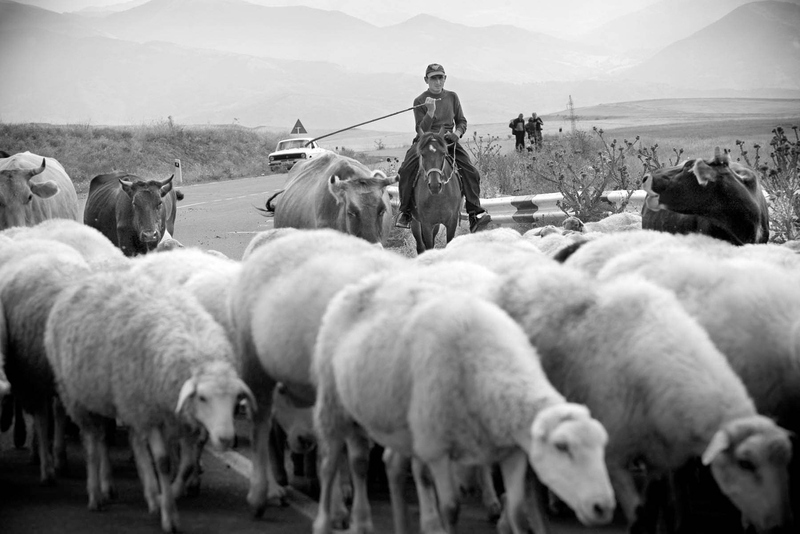 Young sheppard takes his sheep out to graze by the main road linking Armenia and Nagorno Karabakh. 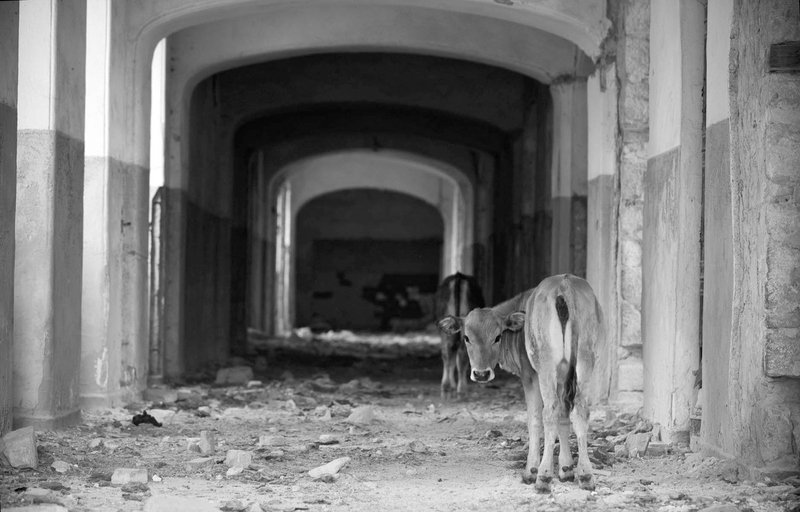 Cows graze where the Institute of Science once stood in Shushi , Nagorno Karabakh. 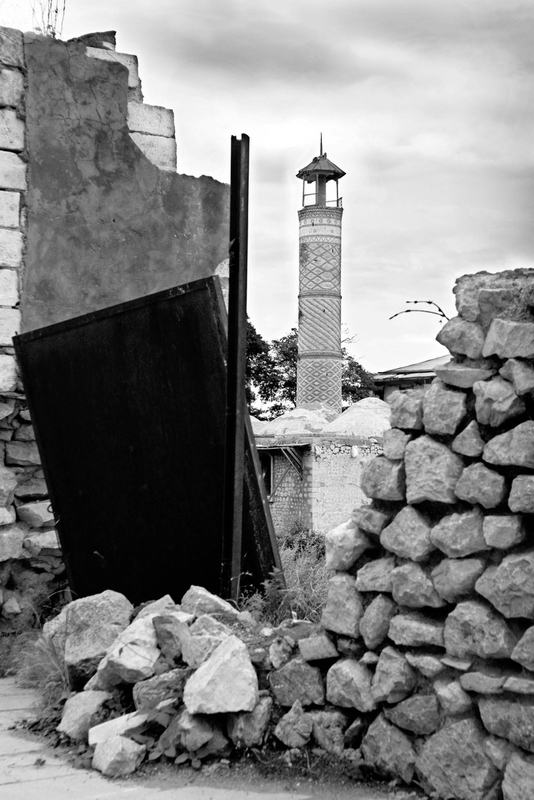 Ashagi Mosque is framed by ruins, remnants of the Nagorno Karabakh war. The mosque was damaged during fighting, but is now being restored with help of Iranian restorers. 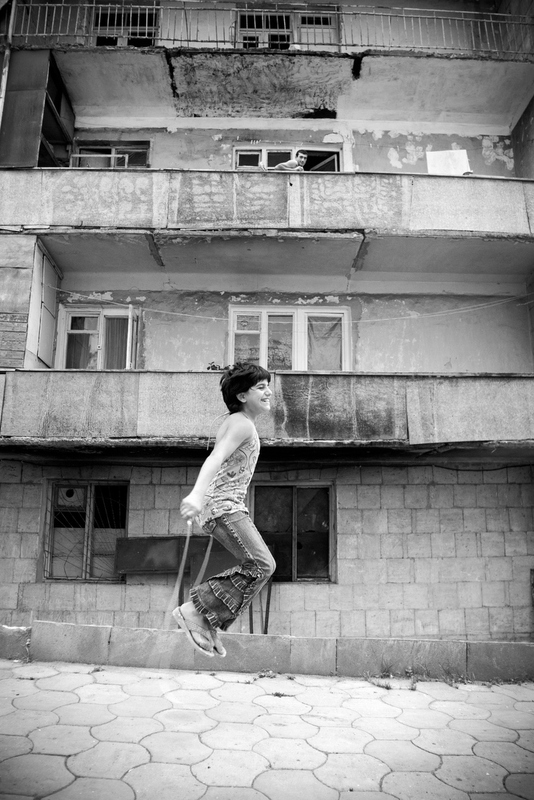 Armenian children play in one of the few streets of Shushi that have been restored. 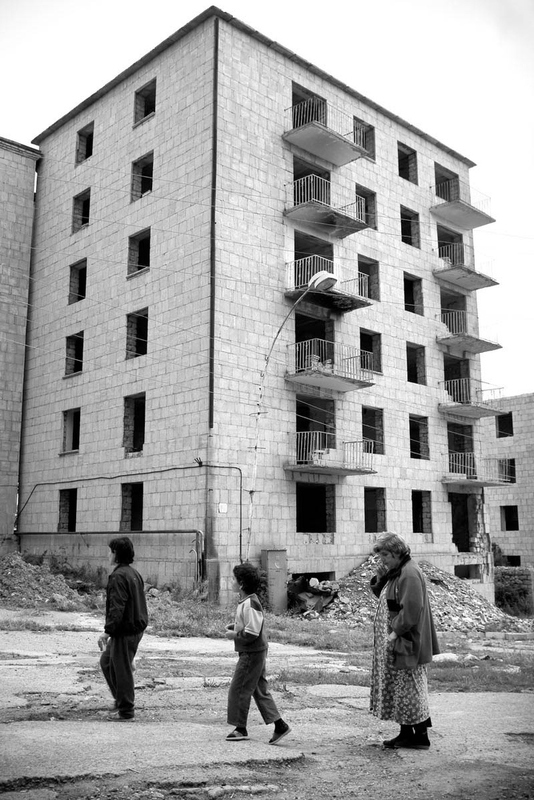 Residents walk past bombed out buildings from the Armenian Azeri war in Shushi, Nagorno Karabakh. 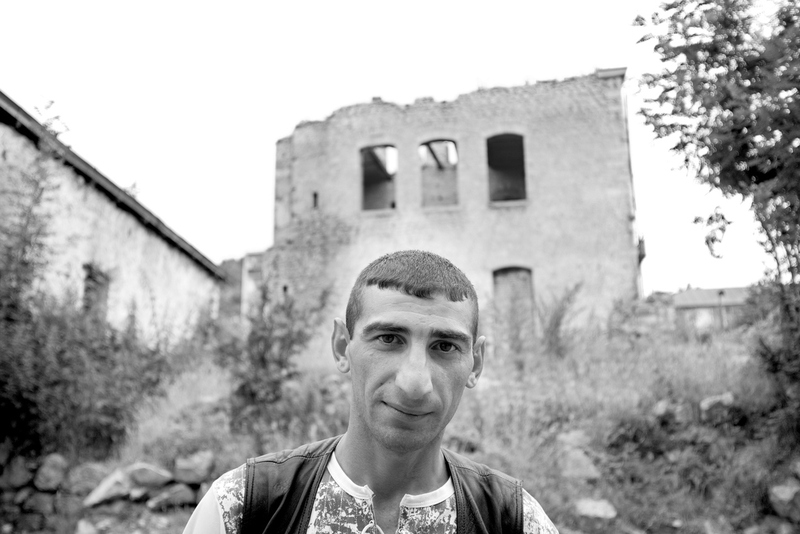 Gregory Suleimanov, an actor and Armenian refugee from Baku, now resides in the town of Shushi. 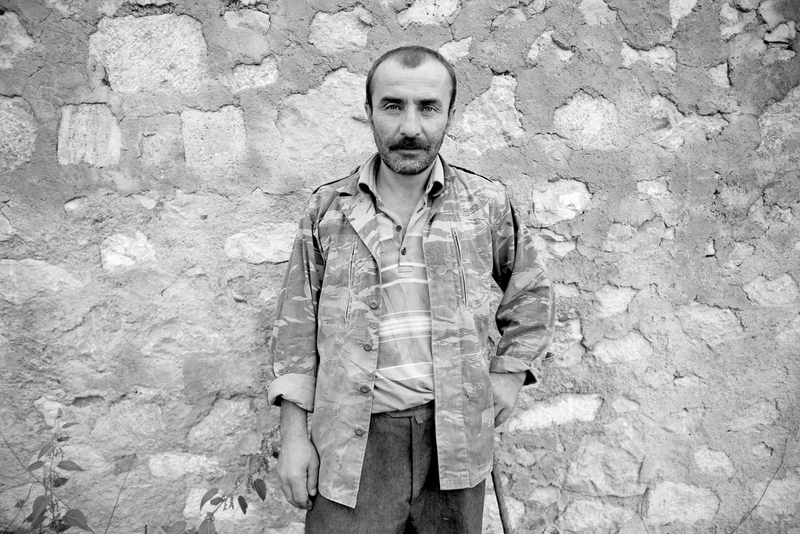 Yesav Hayrepatyan, 41, veteran od the Karabakh war. 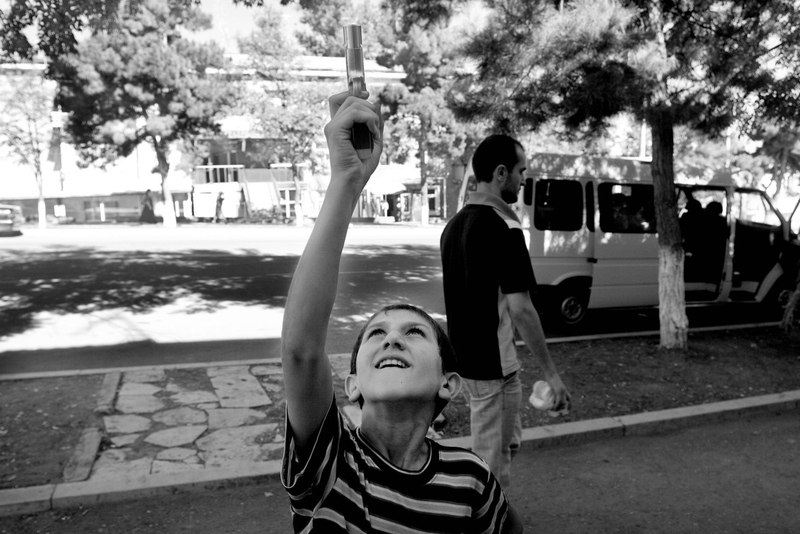 A boy plays with a toy gun in Stepanakert, the capital of Nagorno Karabakh. 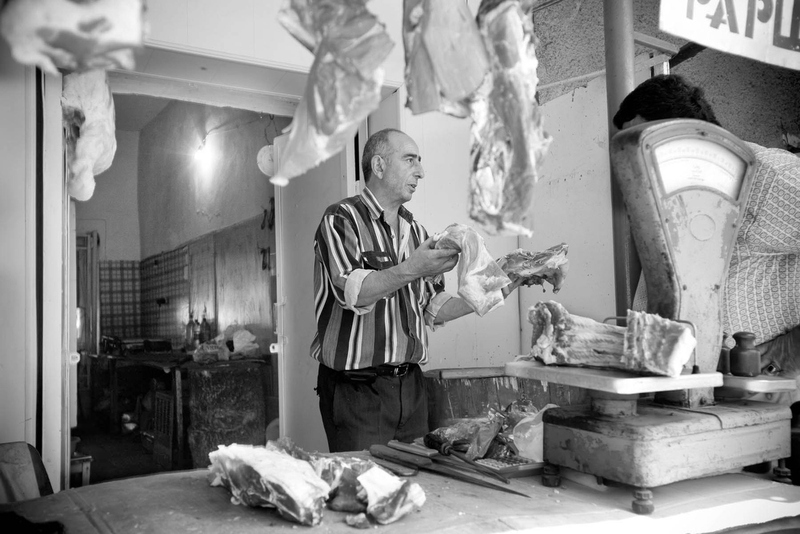 Meat vendor in marketplace in Stepanakert, Nagorno Karabakh. 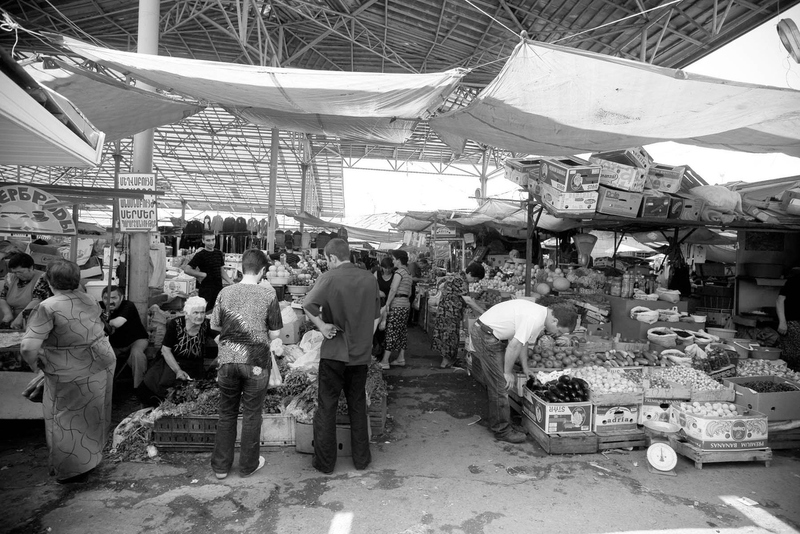 Vendors in marketplace in Stepanakert, Nagorno Karabakh. 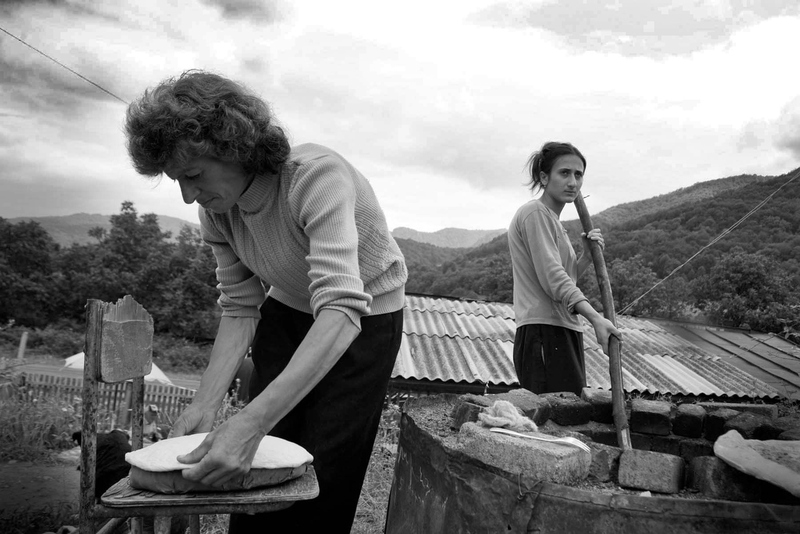 Mother and daughter bake traditional flat bread on the road between Stepanakert and Gandazar. 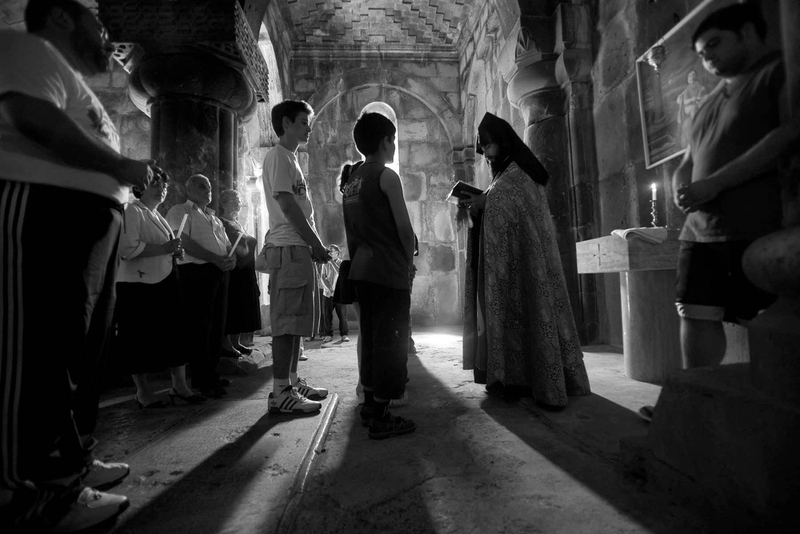 Religious ceremony at Gandazar Monastery. 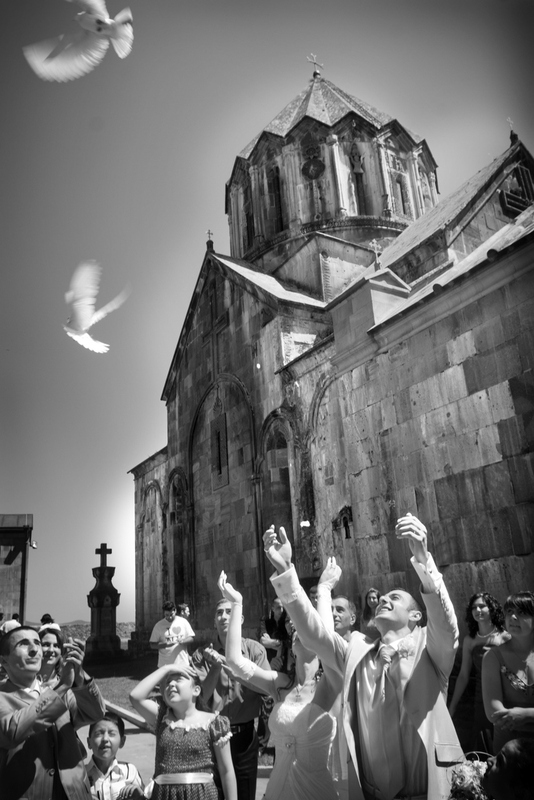 A newly married couple release doves outside Gandazar Monestary.